Join the discussion on our forums! 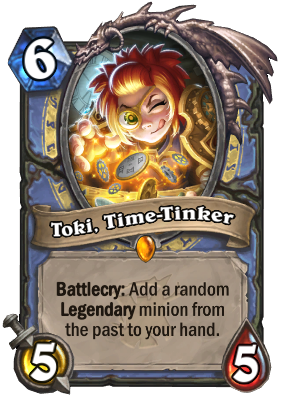 Come discuss Toki, Time-Tinker over in our dedicated Toki, Time-Tinker discussion topic. the past to your hand. Just a twist to the left, one quarter turn to the right and … oops! Well, we didn’t need that timeline anyway. I think this is "Past Toki" and in the next set, not yet named or spoiled, we're going to see a "Future Toki" of some kind. Time Travel for the Win! 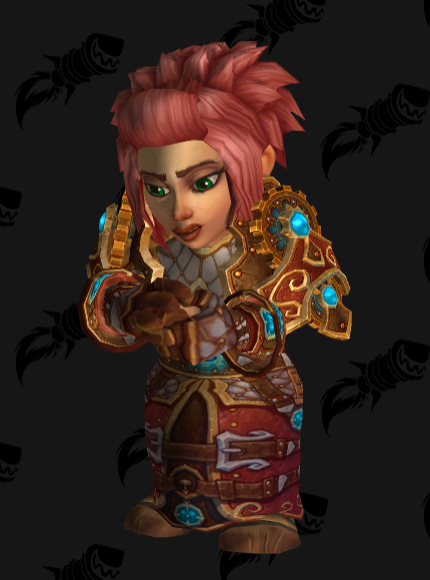 Her armor is called "Time Lord's Regalia"
Fun fact: Toki means "Time" in Japanese. The Japanese name is 時の匠トキ (read: Toki no Takumi Toki) so yes, it does mean Time. When you play this: Add a Majordomo Executus to your hand. When your opponent plays this: Add a Ragnaros the Firelord to their hand. If you have to Google it (like most of us did), it doesn't matter how long you've been playing. the card is not misleading, forlordsheogorath would know it didn't mean a card he'd played this game if he had been playing the game for "very long". at least that's what canther was saying. and what you said just doesn't really make much sense in this context, it proves nothing. it is true that "most of us" wouldn't know what from the past means, but maybe "most of us" would know it does not mean a card you've played this game.